Mon., Sept. 3, 2018, 10:56 p.m.
NEW YORK – Maria Sharapova won the U.S. Open as a teenager. More than a decade later, she can’t seem to make it past the fourth round. 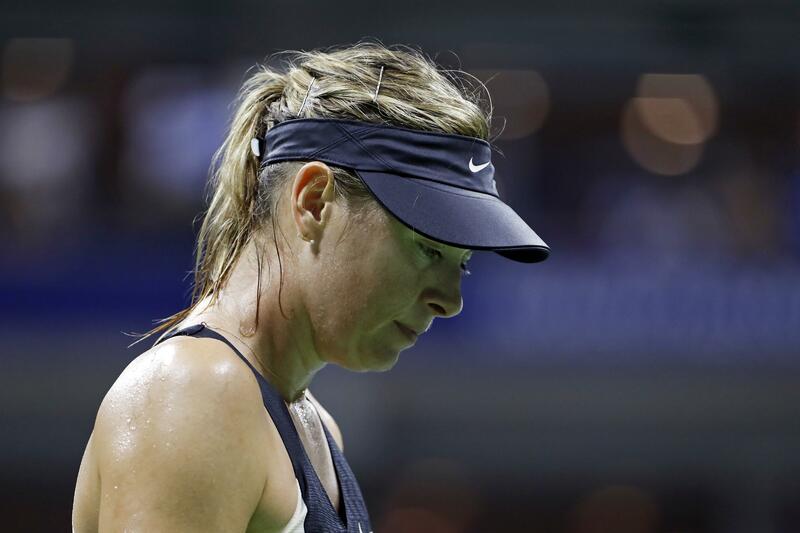 “Just a little too up-and-down,” is the way Sharapova described her performance. It’s the third consecutive appearance that ended one step short of the quarterfinals for the 31-year-old Sharapova, who had been 22-0 under the lights at Arthur Ashe Stadium. Sharapova collected the trophy in New York at age 19 in 2006 and owns a total of five Grand Slam titles, but the Russian was far shakier during this match than Suarez Navarro, who never has made it past the quarterfinals at a major. The Spaniard, who turned 30 on Monday, will be at that stage for the second time at the U.S. Open, five years after her other run to that round. “A really complete performance,” is the way she described her play. Since her championship, Sharapova has only once made it to the quarterfinals at the U.S. Open – in 2012, when she lost in the semifinals. Since then, the best she’s done are fourth-round exits in 2014, 2017 and 2018. “First of all, if I didn’t have the belief to keep doing this and to keep having the motivation and the grind of doing this every day in order to get myself in these positions, I don’t think I would be here. I think I’ve done plenty in my career, established a lot for myself personally, professionally,” she replied. Published: Sept. 3, 2018, 10:56 p.m.